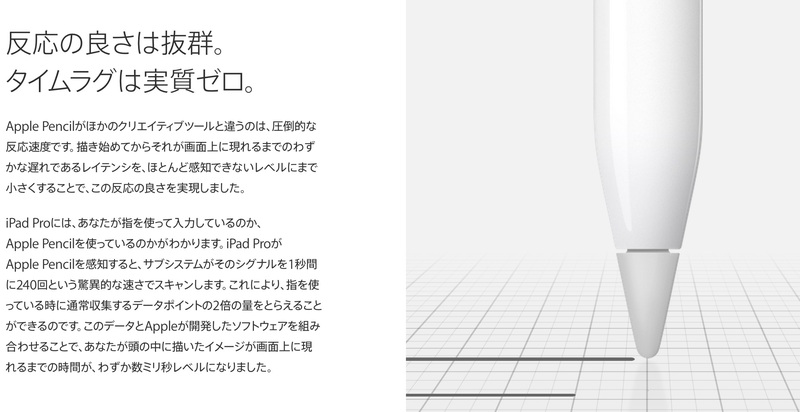 「iPad Pro」と「Apple Pencil」は「Wacom Cintiq」の代わりになるのか？ | AAPL Ch. Currently the Wacom Cintiq is regarded as the pinnacle of professional drawing stylus/surface design. 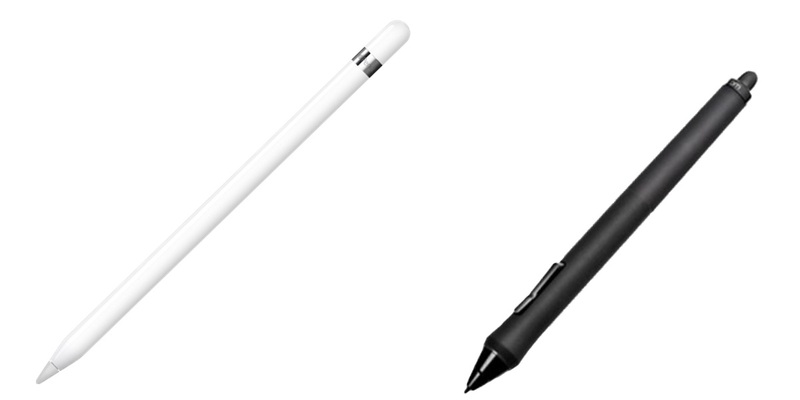 The Apple Pencil has a much narrower body and tip, allowing the stylus to not obscure the drawing itself. I would also argue it provides more freedom of drawing motion. The Cintiq stylus is big, the pen tip is wobbly, your fingers randomly collide into the side buttons, and everything feels like cheap jiggly plastic. Cintiqs are heavy, really heavy. The ones deemed “portable” are hardly at best. Most of them come with a giant set of cords because, obviously, they need to be plugged in to a computer. The screens aren’t retina, the color is whack, the brightest it can display is not very bright and there’s a lot of reflection. Most importantly the screen itself has a huge air gap between the pen and the digital screen, causing parallax. […] All these things are a non-issue with the iPad Pro, also it runs its own OS and has multitouch build in, you’ll be paying $2000+ for multitouch on a Cintiq. Latency latency latency. As in all that latency I can visibly see as I wait for my stroke to catch up with my Cintiq pen. […] This is the game changer with the Apple Pencil, barely any latency so you actually feel like the pencil is leaving ink and can see the outcome of your drawing as its happening. Real-life pencils have gotten this figured out for years. It also seems like pressure and tilt are mapped more sensitively compared to the Cintiq.